Good afternoon. 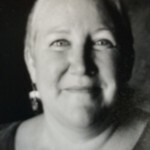 My name is Julie Woestehoff and I am the Executive Director of Parents United for Responsible Education, or PURE, a 26 year old parent-based public school advocacy organization. For more than 15 years, since the beginning of the high-stakes testing era, I have been working with parents to challenge the misuse and overuse of standardized testing in the Chicago Public Schools (CPS) and across the country. There is nothing inherently wrong with standardized tests that are used properly, as designed and in a limited way, as just one of a set of true multiple measures taken over time with a variety of tools. What is wrong – very wrong – is the misuse and overuse of standardized testing that has been growing at an alarming rate in recent years. It is critical that legislators, other public officials, and the general public understand that this is NOT the kind of testing that we – or even my grown children — experienced. When you hear what the parents and teachers who are here today tell you about what testing is like in our schools today, you will understand that the current misuse and overuse of testing is seriously harming our children and drastically interfering with their opportunity to receive a meaningful education. I want to thank Senator Cunningham for introducing SB 2156 and SB 3460, which address some of the major problems created by today’s inappropriate use of standardized tests. My purpose in testifying here today is to share some facts in support of these bills and to offer some further recommendations to address the crisis of test misuse and overuse in our schools. PURE supports the annual limitation on the number of standardized academic achievement tests given to students as proposed in SB 2156. 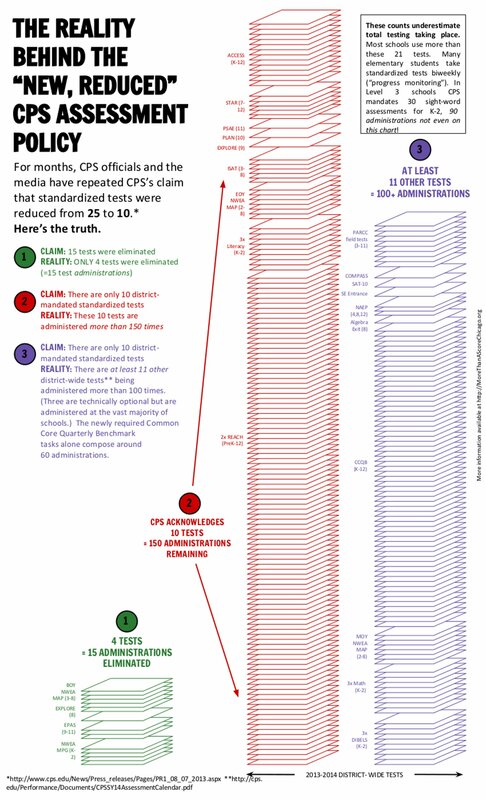 As illustrated in the attached chart created by the coalition More Than a Score, which PURE helps convene, the total number of standardized test “events” in CPS this year may run close to 300 for all students and all administrations (see Attachment 1 – More Than a Score chart, “The Reality Behind the ‘New, Reduced’ CPS Assessment Policy”). This does not include the enormous amount of time given over to test preparation and review. The National Assessment of Educational Progress (NAEP), or the “Nation’s Report Card,” tests students only in the “critical juncture” years of 4th, 8th and 11th grades, and tests only a sampling of students in those grades, with no stakes attached for students. Using NAEP’s highly-respected testing schedule would help put the brakes on the massive expansion of testing that has hijacked our children’s education. Recommendation: Any large-scale statewide standardized testing system should be limited to sample testing in three benchmark years only. Using any standardized achievement test for a purpose for which it was not designed violates nationally-accepted standards of the testing profession, of the state of Illinois and the U. S. Department of Education, and the guidelines of the test makers themselves (see Attachment 2 – PURE Fact Sheet: “Testing professionals oppose use of standardized test scores as sole or primary measures in high-stakes decisions”). Achievement test scores may certainly enter into a promotion or retention decision. However, they should be just one of the many factors considered and probably should receive less weight than factors such as teacher observation, day-to-day classroom performance, maturity level, and attitude. But this has not stopped CPS from their inappropriate use of the Iowa test in the 1990’s, then the ISAT/SAT 10 in recent years and, this year, the NWEA MAP. CPS also uses these tests in other ways for which they were not designed including school closing and turnaround decisions as well as teacher and principal evaluation. CPS will say that it does use multiple measures to make promotion and other high-stakes decisions, but that is simply not true. In fact, the CPS promotion policy sets up multiple barriers, not multiple measures. 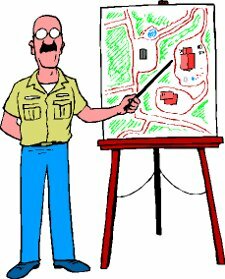 That is, any one measure by itself will trigger the decision to send a student to summer school, and any one measure by itself can cause a student to flunk summer school and be retained. Test scores also vastly outweigh any other measure in the CPS school accountability system. Recommendation: State law should prohibit the use of state tests in making high-stakes decisions about students. We support the ban on standardized testing for children in grades 2 and younger. Early childhood professionals urge “great caution” in the use of and interpretation of standardized tests of young children’s learning (see Attachment 3 – National Association for the Education of Young Children, “Assessment of Young Children” p. 10 and “Program Evaluation and Accountability” p. 14). They raise concerns that standardized tests may not be based on knowledge of child development and are therefore not suited to the developmental abilities of young children. Tests often miss important objectives of early childhood like creativity, problem-solving, and social and emotional development, which can lead to teaching of skills in ways that are not effective or meaningful, to the narrowing of the curriculum, and to less time for play and hands-on learning experiences that are important foundations for later school success. In other words, focusing on testing in the early years may lead to less effective teaching and learning, not the other way around. Recommendation: We support the language of SB 3460. There are significant racial and cultural biases in standardized tests that must be taken into consideration. I’m not just referring to the obvious bias of questions about yachts and tennis doubles, which “bias review” is supposed to be addressing. Research has shown that test questions that are answered correctly more often by black students than by white students have been rejected by test makers, apparently in an effort to assure that test results showing African-Americans scoring lower than whites are “consistent” from year to year (see Attachment 4 – PURE Fact Sheet, “Racial Bias in Standardized Tests” and Attachment 5 – Fair Test, “Racial Justice and Standardized Educational Testing”). It is well-known that the best predictor of standardized test scores is economic level. It’s no coincidence that the schools in our poorest communities in Chicago have been labeled as failures based on test scores, and are the main targets for closure and privatization by charters or privately-run turnaround agencies. There are far better ways to assess children that support rather than take time and resources away from teaching and learning, and that do not harm children the way test misuse and overuse harms them. Over the years, PURE has proposed balanced assessment legislation to assure that students and schools are assessed using valid, appropriate, multiple measures. I attach a summary of our most recent proposal (see Attachment 6 – “PURE Proposal: Legislative Changes to Implement a Balanced State Assessment System for Illinois”). Examples of successful use of such assessments include the New York Performance Standards Consortium (see Attachment 7 – Fair Test, “New York Performance Standards Consortium Fact Sheet” and Attachment 8 – FairTest, “A Better System for Evaluating Students and Schools”). PURE has proposed the common sense notion of going back to using student report cards as the primary evaluation tool for student work. There may have been some validity to concern about grade inflation 15 years ago, but if report cards are still useless, it is the responsibility of the district to provide correctives. Report cards are far more meaningful to parents, who are not allowed to see any part of the tests that currently dictate major life decisions about their children. PURE’s proposal has also been endorsed by More Than a Score (see Attachment 9, PURE, “Proposal for a Year-Long Student-Centered Elementary Promotion Policy for CPS”). Finally, we recommend an explicit opt out right for parents in state law. Because districts have acted irresponsibly by violating standards and ethics of the assessment profession, parents must have the ability to advocate for and protect our children. When CPS parents opted out or tried to opt their children out of a meaningless administration of the ISAT last month, they were harassed, their children experienced retaliation, and investigators used pressure tactics to get students to report on possible teacher involvement. This is unacceptable. The June 10 USDE “Automated Scoring of Summative Assessments” public meeting in Chicago was eerily like a Pentagon briefing for vendors on the latest weapons technology. USDE’s Ann Whelan, who chaired the meeting, actually wrapped up the day by saying, “We need to be bold and move the industry forward.” I wondered if we should all salute as she walked out. The meeting was about creating computer-based and computer-scored assessments, a topic that seemed to be over the heads of many attendees (including me) but most seemed ready and willing (though not exactly able) to do whatever it takes to maintain their lucrative testing contracts. The questions about using artificial intelligence to score tests raised many questions and evoked several assertions that multiple choice tests have “gotten a bad rap” and are still a “very good way” to test a lot of things: “Nothing is as valid or reliable as multiple choice.” And I’ll bet multiple choice will look even better to these guys as soon as we see a few examples of AI scores on student essays. The most cogent comment,in my opinion, came from my son’s former kindergarten teacher, who happened to be there, much to my delight, and who said during public comment that she and other teachers considered summative tests to be DOA – dead on arrival. They don’t help the student, they don’t help the teacher. She urged the USDE to focus on formative tests and forget about summative tests. Amen! I addressed the misuse and overuse of standardized tests, the false promise of better tests, how standardized tests narrow the curriculum, the way CPS and others only pretend to use multiple measures, bias in standardized tests, the failure of merit pay and other schemes to link teacher work to student scores, and the likelihood that the new national tests will be hugely expensive. How will they prevent districts like Chicago from misusing tests for high-stakes purposes? How much money will all this cost – do they have any projections? Ann gave me a thin smile and repeated that they will not answer questions, but that I could e-mail the questions to them. I have since tried all versions of the e-mail address she mentioned, none working. Am still working on that.